Hudson Robotics has developed a unique, automated picker for microbial and fungal samples in microplates or omnitrays. The RapidPick Harvester™ identifies and extracts sample plugs of microbial colonies, stem cell clusters, or fungal samples grown on agar or in liquid media. It is uniquely easy-to-use, accurate and durable. Equipped with an optional digital camera, the Harvester allows the researcher to manually identify sample locations across the microplate or omnitray, or to run any of a variety of imaging programs to automatically select qualified colonies or samples for picking. The Harvester then stores the image and selection coordinates for later picking, or can be directed to pick the selected samples right then. The extracted sample plugs are then transferred to a media-filled growth plate for outgrowth and testing. The Harvester is also able to read the output files of cell imagers, like Brooks Automation’s Celligo™ , then go directly to the sample locations identified in their output files to extract individual plugs and transfer them to selected wells in a media-filled growth plate. The Harvester’s ease-of-use is extraordinary. Users can learn how to operate it with only minutes of training. They can view selected picking locations of sample plates if they wish, and, with a simple point-and-click, delete or add locations at will. This can be done either at the system, or at their office computer. Options include automated media filling, seal application/removal and incubation. The RapidPick Harvester™ can be used for selecting fungal samples, identifying and sampling cellular clusters and for taking sample plugs out of gels. It also enables users to perform ordinary pipetting tasks, such as reformatting plates and transferring liquids among plates. Users can, in the comfort of their own office, review these images and select locations with a point-and-click selection utility. The Harvester will automatically retrieve a fungal sample from each selected location and transfer it to a microplate for isolated outgrowth. 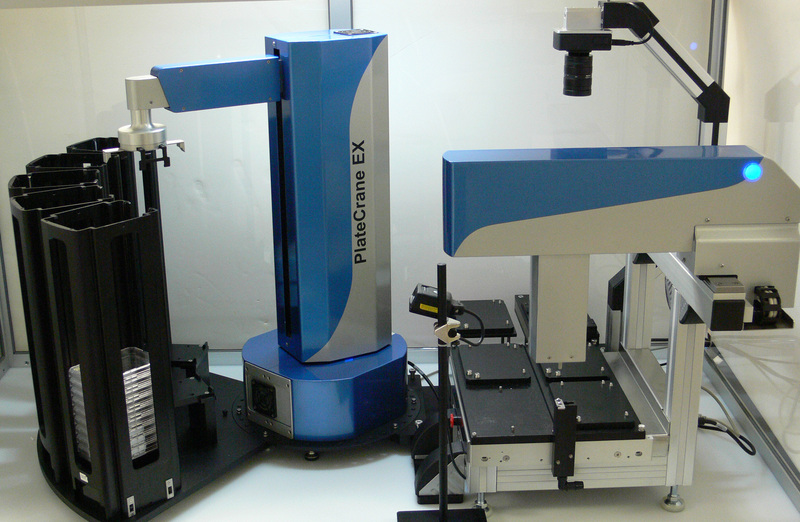 If the system is using barcoded omnitrays and employs Hudson’s PlateCrane robot to load and unload the samples trays, these images can be queued for later review and plug selection. Then, they can be re-positioned by the robot back onto the Harvester’s deck for automated plug retrieval into the destination microplate(s). 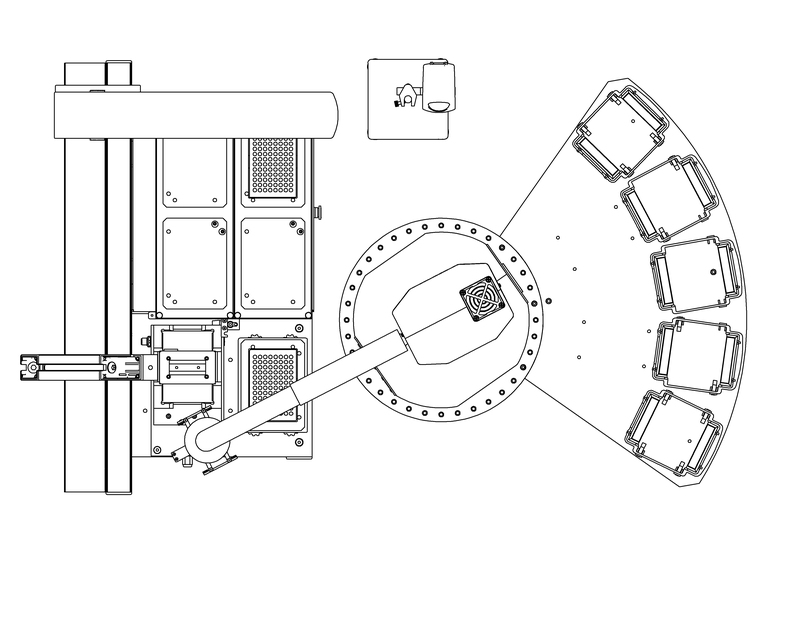 The RapidPick Harvester can be joined with cellular imagers, such as Brooks Automation’s Celligo™ imaging cytometer, to pick samples from microplate wells that have been imaged by that instrument. It does this by using the barcode ID of the plate, captured by the imager, then interprets the imager instrument’s output file for that plate. The Harvester can then accurately transform the location coordinates of selected cells, from the imager’s file, directly into coordinates on the Harvester’s deck to provide precise, complete picking of the identified cells. The Harvester can also serve as a fully-automated, single-tip colony picker, which can extract pin-sample or full plugs of gel-based microbial colonies. The Harvester uses disposable pipette tips, so there is no delay for cleaning and sterilization. Yet, each sample is fully isolated. Plate Capacity: 4 to 6 positions; up to 150 plates with optional PlateCrane accessory. Enclosure: Anodized aluminum frame, with Lexan sliding access doors.